There is no need for you to hide your smile! Cosmetic dental treatments are a fantastic opportunity for you to change your smile. We will work with what nature has given you, to create your dazzling smile. Using a variety of methods, from dental whitening and tooth coloured fillings, to porcelain veneers, crowns and implants, we can re-invent your smile and give you a smile-changing makeover. So whether you have gaps in your teeth, missing teeth, discoloured teeth or more, we can help to transform your smile, giving you a real confidence boost. Composite bonding is a cosmetic technique wherein a type of dental material – in this case, composite resin – is shaped and molded on your teeth to give the appearance of straighter, whiter smile. It can be used as a cosmetic solution to chipped teeth, gapped teeth and staining in both teeth and fillings. 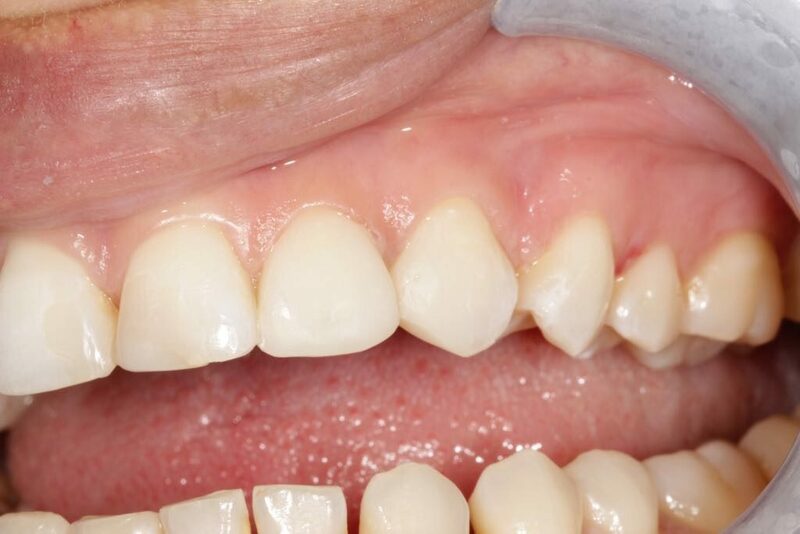 A patient of Dr Angela O’regan had some white composite fillings by using a system called “Clarks Matrix” to close the gap. The patient was India Coker, who was thrilled with her non invasive immediate space closure with bonding. 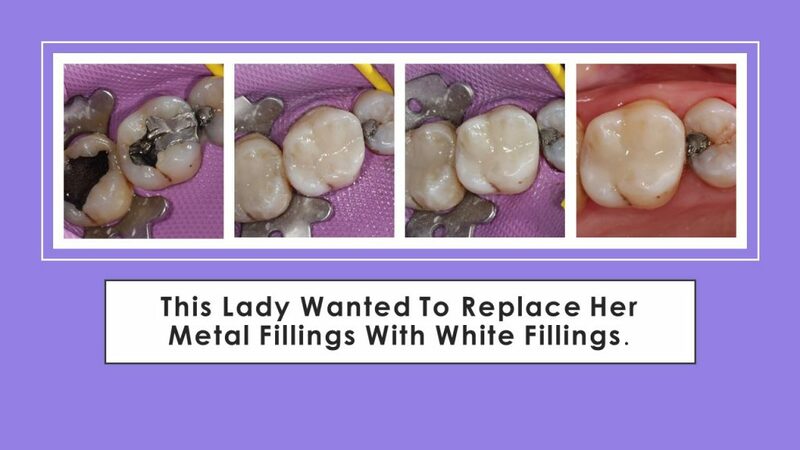 White or “composite” fillings allow the tooth to be filled or rebuilt with amazing cosmetic results. Composite material contains no mercury and can be matched to the exact shade and texture of your natural tooth. They are an excellent way to return a tooth to its original colour and shape. 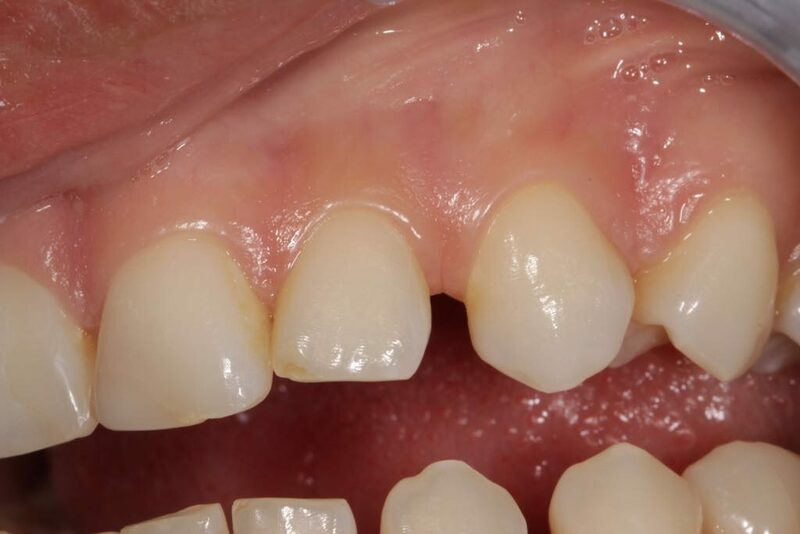 As less composite material is required to restore a filling, more of the natural tooth is preserved. Composite can also be used to repair chipped or broken teeth with outstanding results. Your existing amalgam fillings can be removed and replaced with composite, giving you a sparkling smile again! Inlays and onlays are fillings that are created in the laboratory and then cemented to the tooth. These can be matched to the exact colour and texture of your tooth and cannot be distinguished from your natural tooth when fitted. As traditional silver (amalgam) fillings contain mercury they have a tendency to fracture the tooth, as mercury expands and contracts with hot and cold. In most cases, over time, these fillings will eventually need to be replaced. Porcelain inlays or onlays are ideal in this situation as they hold the tooth together better, and can return the original strength to your tooth, making them ideal for molars or larger cavities. Inlays can be created in either porcelain or gold. If you are interested in cosmetic dental treatments, we offer a FREE Smile Analysis, where you can sit down with one of our Smile Advisors to discuss your options. If you’d like to request a consultation please complete the form below.